For generations, music lovers have cherished the experience of sifting through vinyls in record bins. It is a ceremonial experience worth celebrating and it’s making a comeback, according to Boo Boo Records Manager Mike White. This unique way of discovering music inspired Record Store Day, an annual international celebration of independent record stores and small labels. 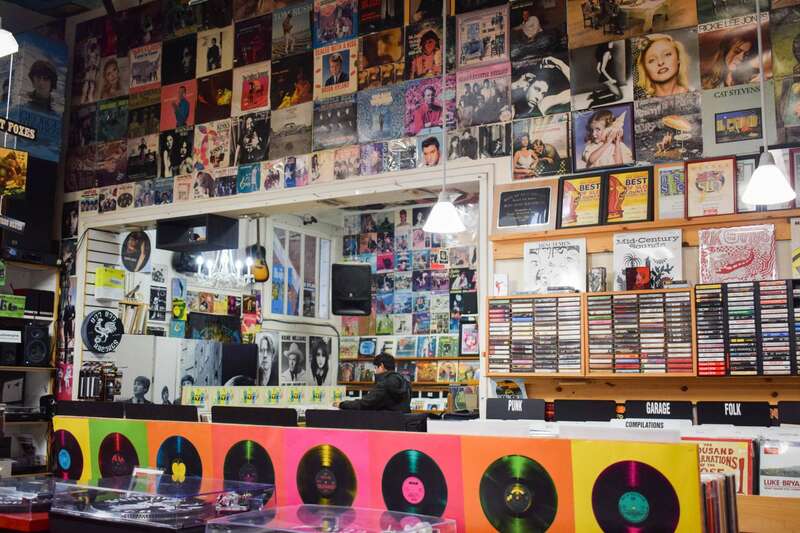 San Luis Obispo record stores Boo Boo Records and Cheap Thrills Records will host Record Store Day celebrations at their stores April 21 with live music, sales and limited edition LPs. “We think it’s essential to be able to shine a light back on retail brick-and-mortar record stores,” White said. Boo Boo Records was part of the original coalition of independent record stores that created Record Store Day in 2007. 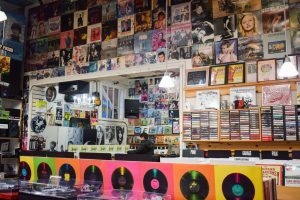 Eleven years later, the celebration has gone worldwide, with record stores on six continents participating in Record Store Day. Cheap Thrills Records General Manager Richard Ferris said vinyl is the only sector of music that has experienced an increase in sales in the past decade. He considered the reason for this resurgence. Ferris said that a record has higher fidelity and more detailed music information for reproducing than a CD or an MP3 download. Even the digital generation is turning to records for their music for this reason, according to White. Every day is Record Store Day for city and regional planning senior Heather McCoy. She does not use Spotify. Instead, she turns to vinyl and CDs for her music. Because many albums issued as LPs were never reissued on CDs or digitally, vinyl can be the only way to listen to some music. McCoy said she appreciates the vinyl revival because it brings more revenue back to the artist. Small labels and distributors will release limited edition records only available on Record Store Day. Hundreds of limited edition records will be available for purchase at Cheap Thrills Records and Boo Boo Records on Record Store Day. 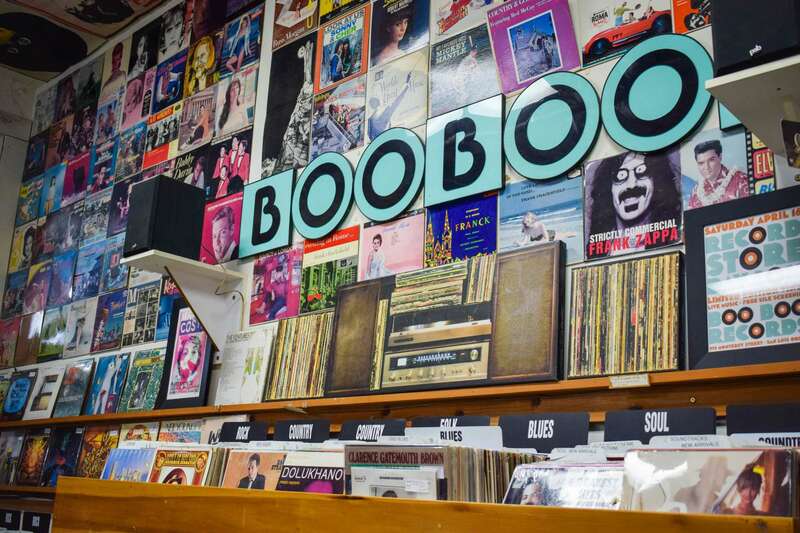 Record Store Day is Boo Boo Records’ biggest day of the year, according to White. “We usually have a line up and around the corner on Record Store Day,” White said. Boo Boo Records will open one hour early for the event at 9 a.m. They will have t-shirt screen printing on the sidewalk and live bands performing throughout the day inside the store. A new band will perform every hour. Cheap Thrills Records will have sales, discounts and freebies for customers, in addition to the limited edition records. More information about Record Store Day is available on the event’s official website.